No matter what make or model your vehicle might be, it needs to be equipped with healthy tires in order to perform effectively. 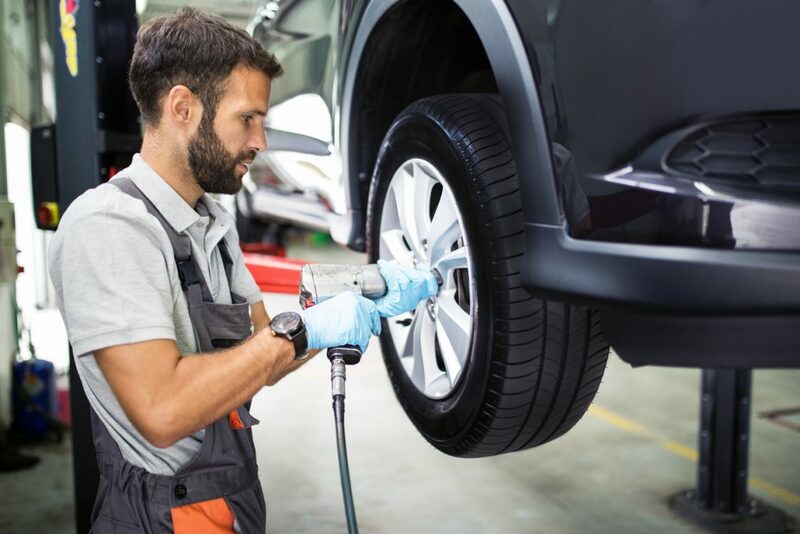 As such, keeping your tires in good shape should be a big part of your vehicle’s maintenance plan and having your tires rotated regularly should be a cornerstone of that plan. The life of a tire improves by a factor of 20 pct. when regular rotation is conducted which will ensure you get your money’s worth out of the tires. In addition to getting you more value out of your tires, regular rotation will also save you money at the pump as your ride will be smoother for longer and you’ll be burning less fuel. As a rule of thumb, it’s recommended that your tires be rotated every 6,000 miles or so. This can be expedited depending upon a variety of factors. A major source of tire wear is weight distribution. This is especially true for front-wheel drive vehicles as two tires are absorbing the bulk of the workload when it comes to breaking, steering, etc. Another factor in determining how fast your tries will wear out is alignment, which, when misconfigured, will place an extra burden on certain tires over others. Not having the proper tire pressure will also speed up the rate at which your tires’ tread deteriorates, so try to keep the settings at the levels recommended by manufacturers as best you can. Saving money on gas/replacement tires is obviously a huge benefit to regular rotation but the most important reason of all to make sure your tires are in good shape is the most obvious – safety. The smoother your ride, the safer you and your family will be on the road. Your tires will also have a much lower chance of blowing out if they’re rotated regularly and resultantly in as good of shape as possible. Braking will also be easier as your tread will maintain its consistency for longer. If you have any questions about tire rotation or anything else relating to your vehicle’s health, be sure to give us a call at 248-668-1200. Our ASE-certified technicians are dedicated to keeping you safely on the Walled Lake roads year-round!